Located in the beautiful state of Himachal Pradesh, Fagu is a mesmerizing town and an amazing scenic place in the Shimla district of the state. The town is entirely surrounded by greenery and is rich in flora and fauna. 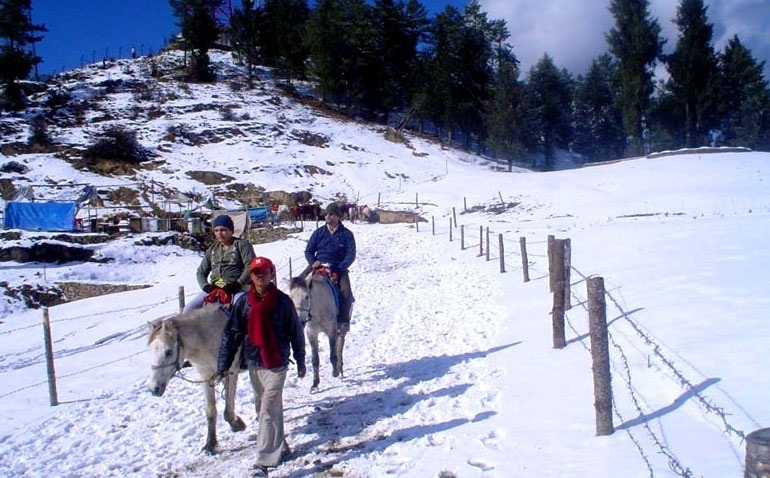 It is famous among tourists as an incredibly beautiful hill station. Fagu is a perfect place for nature lovers and a must visit place for those fond of scenic beauty. Fagu Travel Guide is full of references to places and spots to relax and unwind and the serene surroundings further add to the innate pleasure. The place serves as a good base camp for trekkers and naturalists. The picturesque view of the hills and its beauty is really enchanting.